BankSimple CEO Josh Reich gives Co.Design an exclusive preview of its mobile interface–and explains how sweating the details of decimal-point placement pays off in user experience. BankSimple has gotten a lot of buzz since we first wrote about its user-friendly design philosophy back in March. With good reason: The user experience of online banking is wretched. As BankSimple CEO Josh Reich tells Co.Design, “Banks make the most money when you make mistakes.” His bank is designed for the opposite purpose: to help you better understand your personal finances so that you can actually accomplish your goals. He gave Co.Design a tour of BankSimple’s soon-to-launch iPhone app, which was so important to BankSimple’s strategy that they designed it before the desktop browser version. 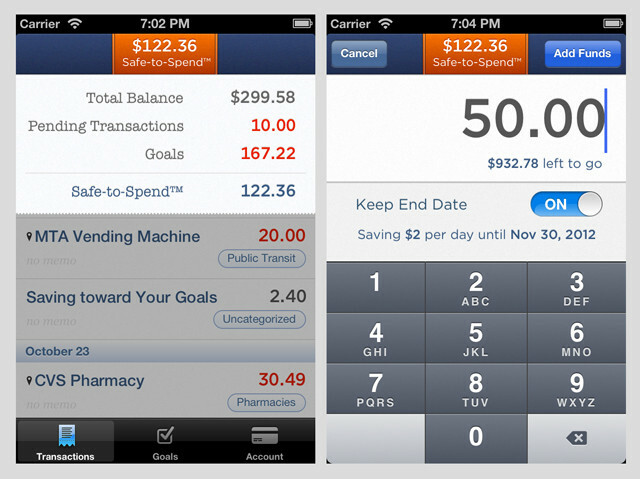 BankSimple’s designed their app before the desktop browser version. After unlocking the app with a PIN (this is your banking information, after all), the user is greeted with a friendly, clear list of transations auto-categorized by BankSimple, with the firm’s signature “Safe To Spend” figure highlighted in a red box at the top. “There are two main reasons people want to look at banking info on their mobile device,” says Reich. “Number one: what’s my balance, and number two, has my paycheck come in? In other words, ‘can I afford this?&apos;” Tap the Safe to Spend box and the display drops down to display a brief summary of how BankSimple calculated it. After all, if you’re using BankSimple to tell you whether or not you can responsibly spring for that fancy dinner or new gadget, you need to trust it — so having app’s signature feature “show its work” is a savvy UX move. Making sure that the app updates itself in real time was also critically important to the design. “We want to close the haptic feedback loop with purchases,” he says. “When you swipe your debit card, we want you to be able to see the effects immediately in our app–not an hour or a day later.” This, too, builds trust in that central “Safe to Spend” feature. 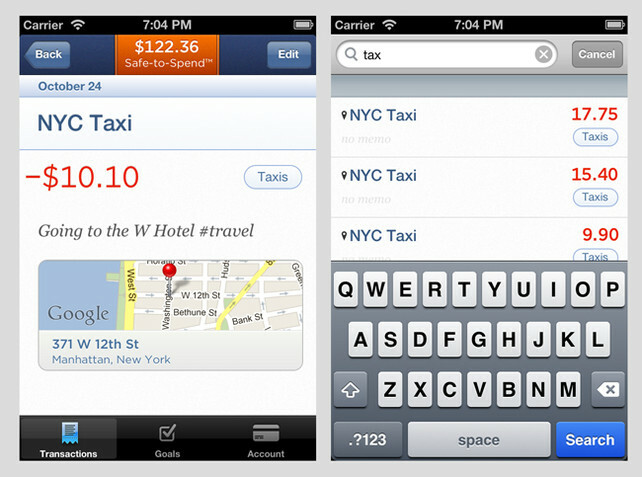 Interface details include automatic geolocating of transactions. Other subtle-but-genius interface details include automatic geolocating of transactions–“all banks have this, but they just throw it out,” says Reich–so that if you can’t remember the details of a purchase from the written description, you can call up a map of exactly where you were when the transaction happened. This also reduces annoying false positives in fraud detection “because you have your phone with you while you’re transacting, and our app knows where you are,” Reich explains. No more pulling out your debit card while on vacation only to find that your bank has accidentally locked it out. Reich says that BankSimple adopted its “mobile first” design strategy not only to address the obvious use cases, but because “it’s a good creative constraining device. What are the bare essentials that we have to get right?” There are a few more features being added to BankSimple’s app before launch (including mobile check depositing), but if this preview is any indication, they’ve gotten a hell of a lot more right than their competition ever will.